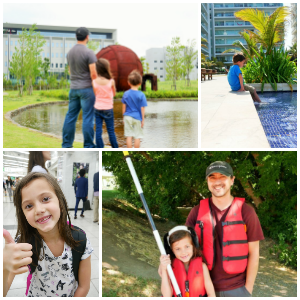 Here our family was enjoying nature, soaking it in, and feeling pretty immersed but still having all the creature comforts and, really, the comfort and safety blanket of luxury resorts and hotels. So as our trip was almost at an end, it was time to really be a part of the Costa Rican nature, to really feel it. When you want to, as some would say “be one with nature” in the U.S., that usually implies sleeping completely immersed in nature and almost always sleeping in a tent. As I stated, I am not a “tenting” kind of girl, and the thought of doing it in Costa Rica made me queasy, to say the least. So when we decided to stay in tents at Pozo Azul, I held my breath and feared what I had gotten myself into. Upon arriving, I saw tents up on the side of a hill surrounded by nature. Each tent had a very large deck, and our kids were already planning all the fun they would have playing on the deck and around the massive grounds. I saw that each tent had a door, and after walking in ours, I could clearly see this was no average tent. With an attached bathroom, beds that sat off the ground, and electrical plugs, I knew I could handle this! The tents were spacious with plenty of room for our whole family. They also appeared to be constructed to keep out as many bugs as possible, which was a huge help for my sanity. My daughter, who loves being surrounded by nature and definitely has less fear of bugs than I do, loved Pozo Azul. I could tell in just the first few moments it was going to be hard to get her to leave. 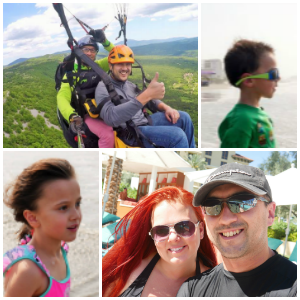 Being able to run around and truly enjoy the outdoors made Pozo Azul a winner and definitely accommodations I would highly recommend for other families. One of the biggest draws of coming to Pozo Azul is all the amazing outdoors adventure activities you will find in the area. Down the road, you will find Aventuras Sarapiqui. Canopy zip lining, water rafting, and horseback riding are just a few of the amazing activities you can choose from. Our family did horseback riding and rafting. The guides are incredibly knowledgeable, and their first priority is safety, which made this mom super happy. Whether you stay at a five-star resort or in luxury tents, there truly is something for everyone in Costa Rica, and our time in this magical destination is an adventure our whole family will always remember and cherish. 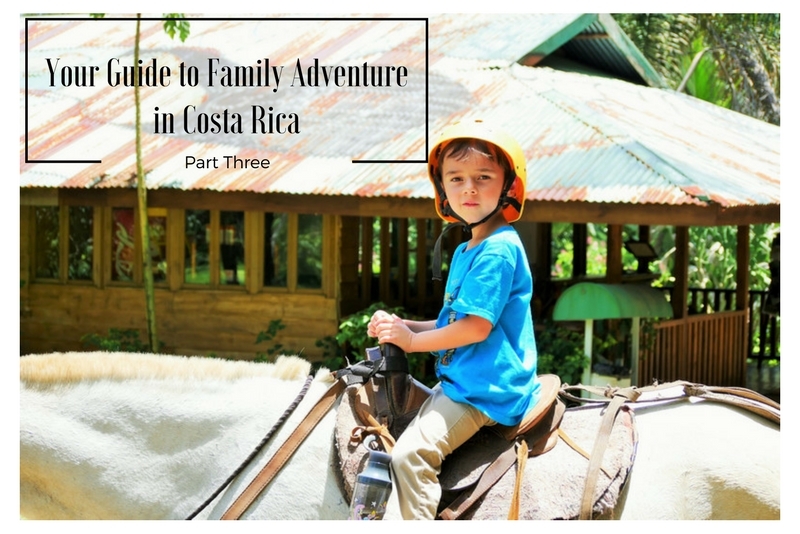 You really haven’t experienced a truly unique family vacation until you have gone to Costa Rica! So what are you waiting for? Head over here to start planning your family adventure! You can check out our first and second Costa Rica articles here and here.